By refusing to make Third Party vehicle insurance compulsory New Zealand remains in the space usually reserved for less developed countries which haven't yet worked out fundamental principles of personal responsibility. I'm grateful to Rob Stock for his excellent article "The cost of being uninsured" which appeared in Stuff.co.nz., October 21 . However, there are a few issues which need clarification regarding the arguments presented against making Third party motor insurance compulsory. At the end of the article Rob suggests that the clincher for NZ is the existence of ACC. All other countries which legally require Third Party vehicle insurance, allow law suits for personal injury damages. Sorry Rob - that's a crock. The existence or otherwise of Third Party cover has nothing to do with the right to sue for personal injury - that's a red herring and has nothing whatsoever to do with expecting every citizen to accept personal responsiblity for his/her actions - including driving a vehicle which causes damage to someone else's property. The view that many in the insurance industry do not believe that Third Party insurance cover should be compulsory is also irrelevant. I'm sure that there are many advisers in the tax industry who believe we should have a personal capital gains tax - but we don't, so the opinion of the industry, while interesting, is not an excuse for shirking responsibility. While I accept that this might make life "tricky" for the insurance industry, I suggest that it's more important to keep all citizens' property adequately protected than it is to worry about the challenges facing insurers. Elsewhere - Indonesia, India, Australia, Hungary - insurance companies cope just fine, thanks. I don't see why insured drivers should have to pay anything toward the cost of covering the damage occasioned by uninsured drivers. Quiet simply, this defeats the purpose of insurance. The statistics in the article are excellent and presents the most compelling case for introducing compulsory Third Party cover. 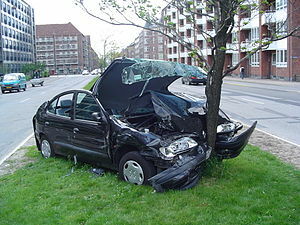 Between 3.5% and 5% of insured drivers’ premiums are charged to cover uninsured drivers’ damage costs. The cost of subsidising uninsured drivers, the salaries of the people employed to pursue restitution, and all the related expenses incurred by insurance companies for recovering costs associated with uninsured losses, are all passed on to mugs like you and me, who take it upon themselves to make provision for compensating others, should we cause damage to their vehicle or property. Rob suggests that the industry might find it problematic to offer cover to everybody - "hoons and convicted drink-drivers included". Experience overseas suggests that the prohibitive cost of obtaining minimum cover for recidivist offenders or those who perpetrate serious driving offences, prevents some of these folk from driving. Well - bite me! They should have thought of that before they broke the law, and perhaps being hit in the wallet will make them think twice about doing so again. With regard to the 'hoons' as Rob calls them - there seems to be little difficulty with meeting the cost of buying and customising their vehicles. As the article points out T.P. cover for a 22-year old male driving an average car in Auckland costs around $300 per year. How much does a set of mags cost these days? Other than some reluctant insurance company managers, and a few ill-informed politicians concerned about their popularity or votes at the next election/by-election, there is no earthly reason why the community should continue to subsidise those who drive uninsured. What if an overseas visitor to our shores decided to buy a vehicle for the duration of their stay in NZ and opted not to buy insurance? What if they were involved in an accident and skipped the country before the circumstances of the accident could be properly resolved? Happy to let them drive uninsured? The decision not to insure is a conscious choice, so what if the owner of an old van or truck decided not to insure. Happy to let them drive uninsured? "The problem associated with uninsured vehicles is the discrepancy in who bears the costs of property damage when the at-fault motorist is uninsured, and they cannot or will not bear the costs themselves." That, in a nutshell, is the heart of the issue. I don't see why I should be forced to bear the costs of those who "cannot or will not bear the cost themselves". NZ FINANCIAL SERVICES INDUSTRY MARKETING - IS THERE HOPE?